From Feb. 18-Mar. 2, those who eat a meal at Trillium Haven can send four meals to someone in need. Grand Rapids restaurants are embarking on a two-week exploration of local cuisine, Michigan beers and the fruitful ways in which they intersect. Cool Brews. Hot Eats., from the creators of Restaurant Week, runs from Feb. 18 to March 2 and involves some 58 restaurants. One of those restaurants is using the occasion as a platform for hunger relief. Every time a customer orders from their Cool Brews. Hot Eats. chef's menu, Trillium Haven Restaurant will donate $1 to Feeding America West Michigan Food Bank. Each dollar donated to the Food Bank funds the distribution of four meals in West Michigan and the Upper Peninsula. Less than a year old, Trillium Haven Restaurant was created by Michael Vanderbrug and Anja Mast in collaboration with Ken Sung, an executive at Gazelle Sports. Vanderbrug and Mast are also the owners of Trillium Haven Farm, a Jenison-based CSA farm known for its chemical-free practices and heirloom vegetables. The restaurant sources as much of its food as possible from regional farms, including their own, and boasts a deep portfolio of Michigan microbrews. Beer pairings offered by the restaurant during Cool Brews. Hot Eats. include Perrin IPA, Founders Breakfast Stout, Arcadia Ales' 16th-Anniversary Smoked Wheat and, as a digestif, Clurichaun Clu 22 mead, made in Montague, Michigan, from 100 percent Michigan honey. The three-course $29 chef's menu will feature, among other dishes, Trillium's house-made Michigan IPA Beer Cheese and Breakfast Stout-braised pastured beef with barley and root vegetables. Vegan and gluten-free options are also available for each course, providing plenty of options for all appetites. The beneficiary of this 10 day special, Feeding America West Michigan, is a member of the national Feeding America network of food banks. 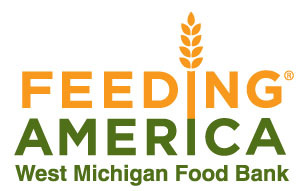 Feeding America West Michigan saves good, excess food from being thrown away and distributes it to more than 1,200 food pantries and soup kitchens from Benton Harbor through the Upper Peninsula. The volume of Michigan produce distributed by the Food Bank has expanded greatly in recent years. The staff at Trillium Haven Restaurant see a harmony between the Food Bank’s methods and their own philosophy. This event is part of Feeding America West Michigan's Million Meal March, a campaign to distribute an additional million meals to families in need. For more ways to take part, visit millionmealmarch.org.